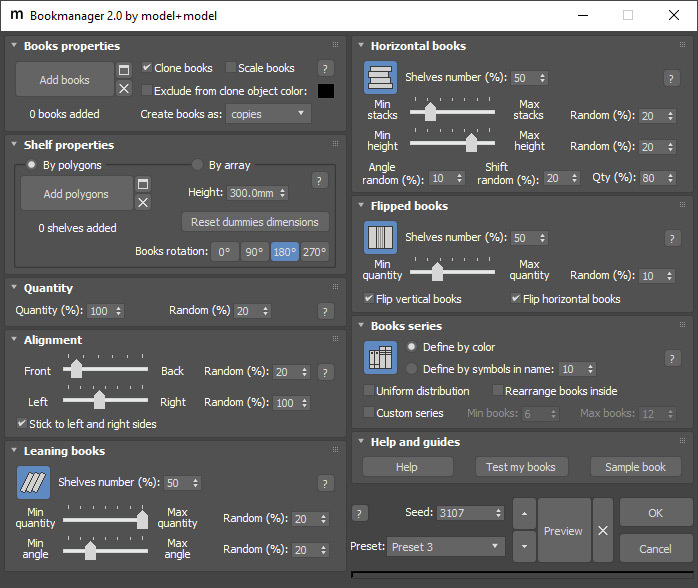 Bookmanager 2 is a great tool for automatic process of books placement. It is written in MAXScript for use in Autodesk 3ds Max software. It has a wide range of features and easy to use interface. Try free demo version and if you like it get the full version.